For "Throwback Thursday" I figured I'd do something a little fun. Back in the first Gulf War my cavalry unit was positioned way out in the middle of nowhere. Where you ask? I have no idea where we were other than we were in the Neutral Zone between Iraq and Saudi Arabia. and there was a ton of sand. Spam. I don't care what anyone says, I love Spam. Meaty, salty goodness. Back to the story...I traded someone for this spam and I had a big block of margarine. The Margarine I got from a British soldier in exchange for some MREs and American cigarettes. Cigarettes were worth more than cash, you had nowhere to spend cash over there. This also meant smokes were scarce and a luxury. I broke out the mess kit, toss in the margarine and started frying the sliced Spam. 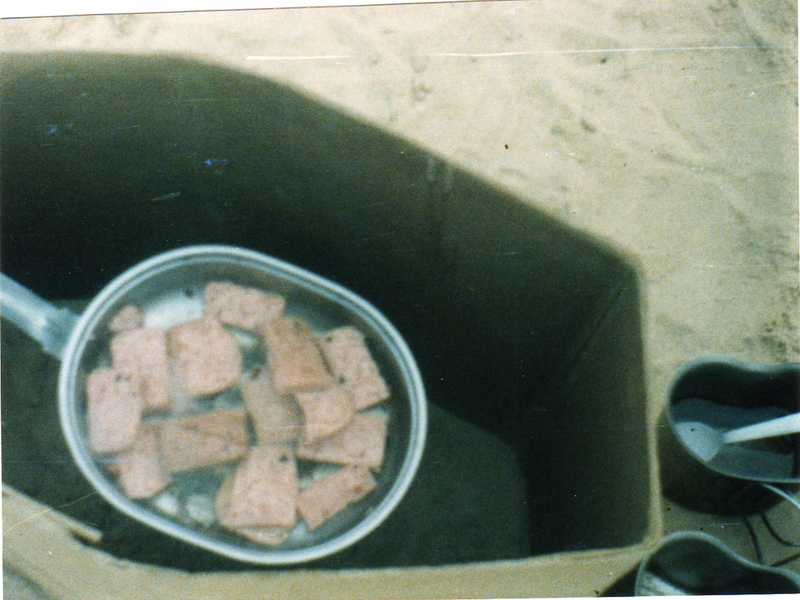 In the photo you'll notice I have the squad stove (a little gas burner) in a MRE box cover. It was windy there a lot. After it was done me and a couple of Bradley crews ate spam. Then we shaved our heads. 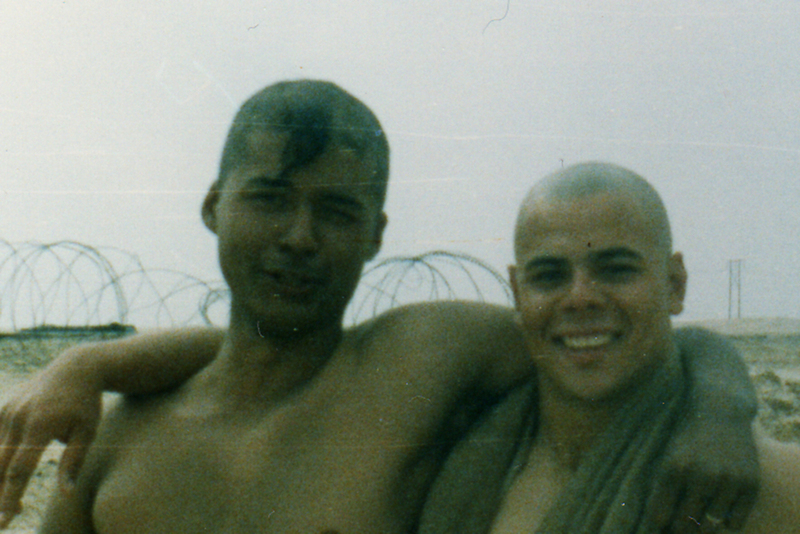 Me on the left, "Dino" Huber on the right. Wow, 20 years ago already.